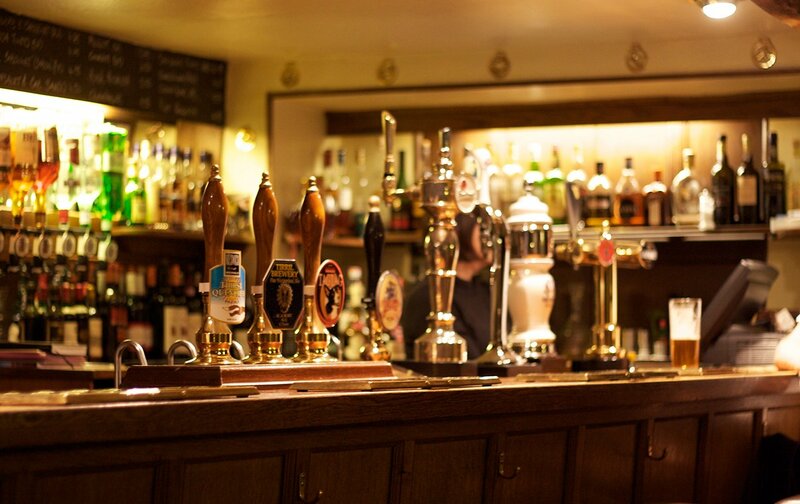 A visit to England is not complete without curling up in the cozy pubs in London with your favorite beverage. 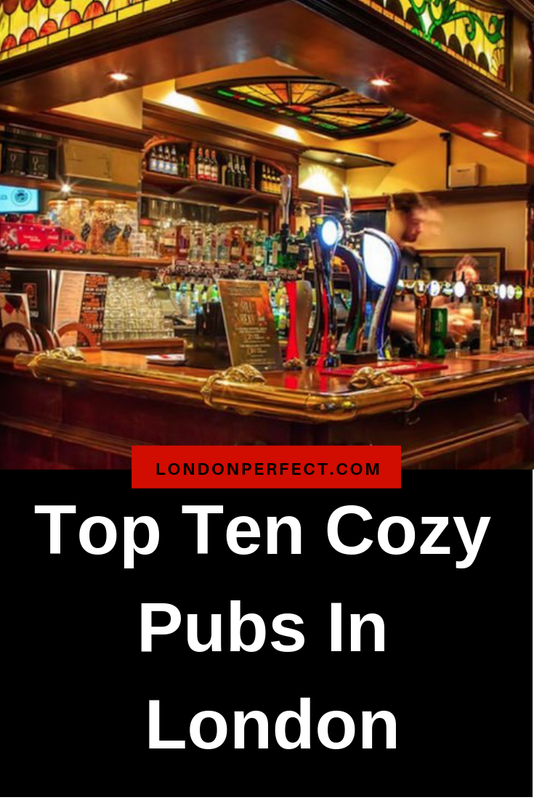 Thankfully, London is home to some of the coziest pubs you’ll find. We’ve picked some of our very favorites across the city that we think are just perfect for warming up after a bit of shopping or sightseeing this winter season! 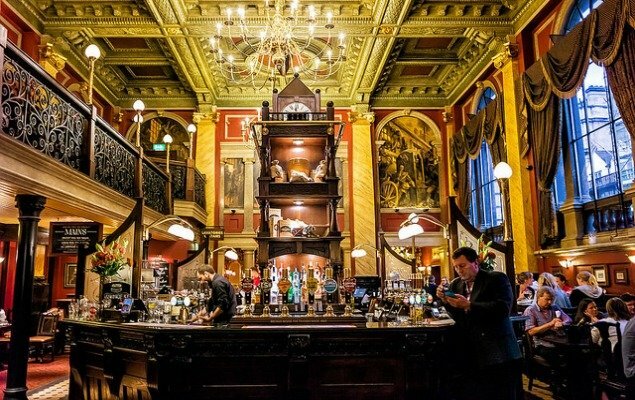 If you’re catching one of London’s spectacular theatrical performances, this is the pub to visit, as it’s just minutes away from Tottenham Court Road! Even the exterior looks cozy, with its brick walls and wide windows. 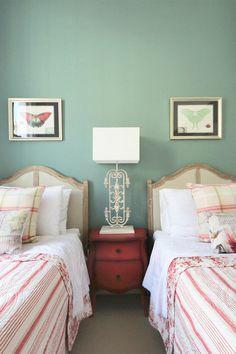 So curl up next to the fireplace, and enjoy the inviting atmosphere. Tucked away on a quiet street, this classic 18th century pub is an absolute must-visit. 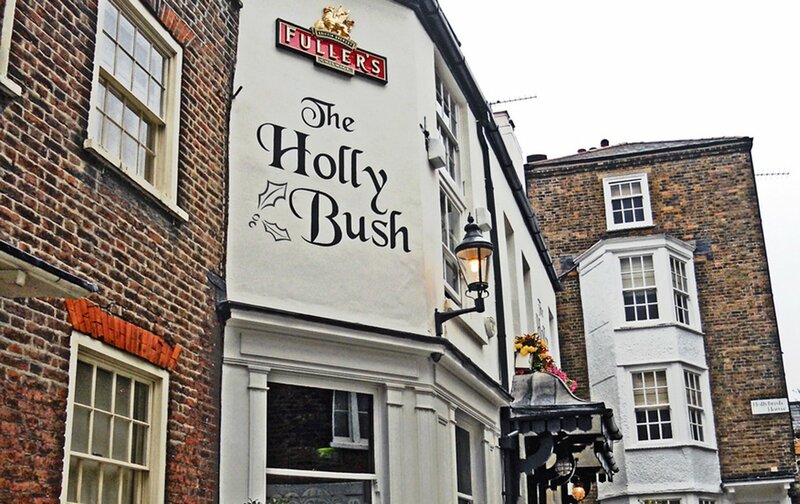 It’s one of the most beloved pubs in Hampstead, and is a popular destination for locals. You can enjoy a pint in one of the comfy leather seats, warm up in front of the fireplace, and even leaf through one of the books from their extensive collection. 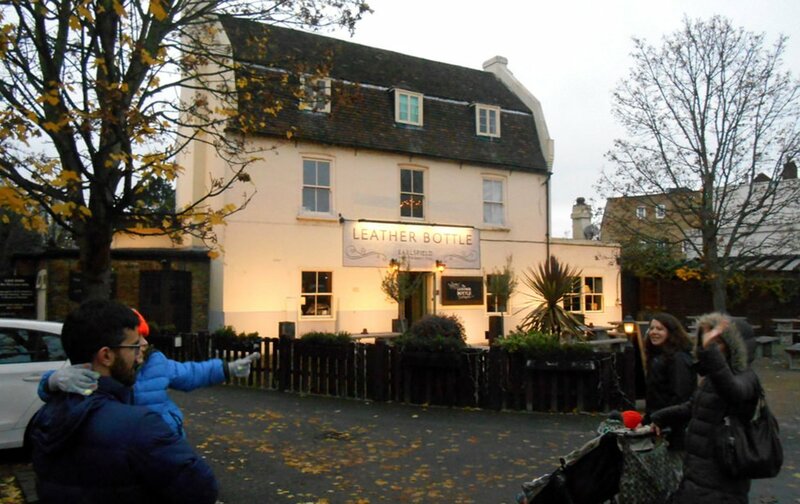 This pub has a special ambiance that will feel just right on chilly, winter nights. The food is delicious as well and not to be missed. 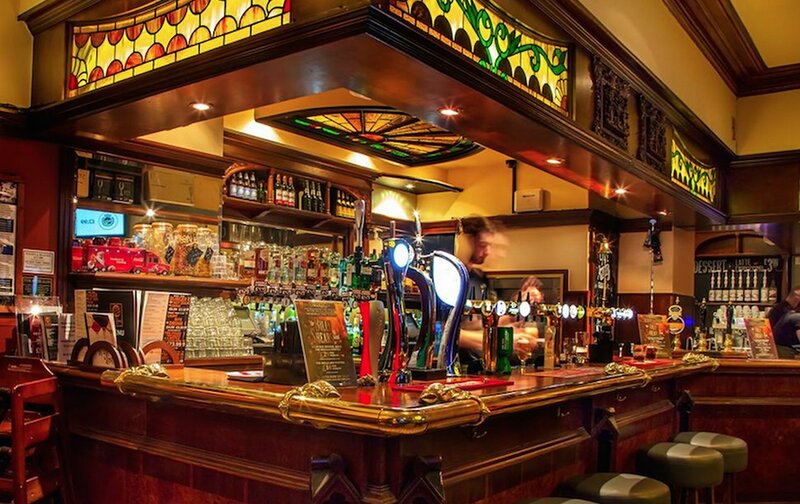 This historical pub opened in 1891, and has seen many notable historical figures pass through its doors, including Brendan Behan, who wrote much of The Quare Fellow in the pub, Dylan Thomas, and Francis Bacon. 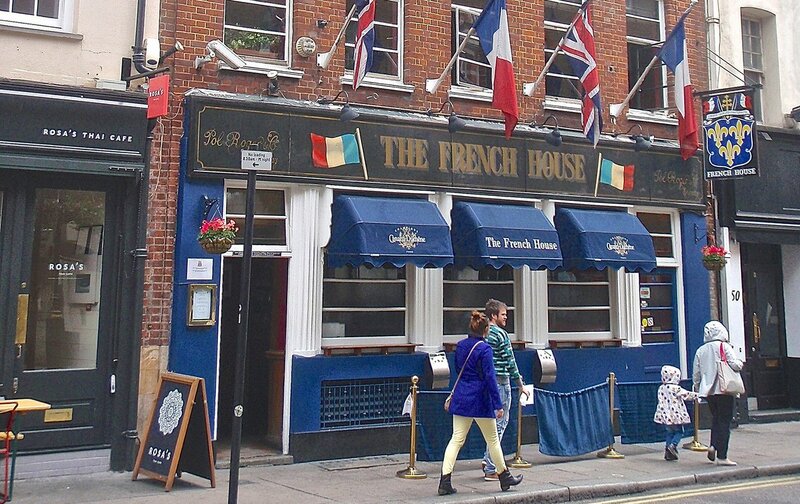 Even Charles de Gaulle used the pub as a workplace during WWII. Although often busy after 5 pm, this spot is perfectly cozy and lovely during the afternoon – perfect for reading, writing, and people watching. 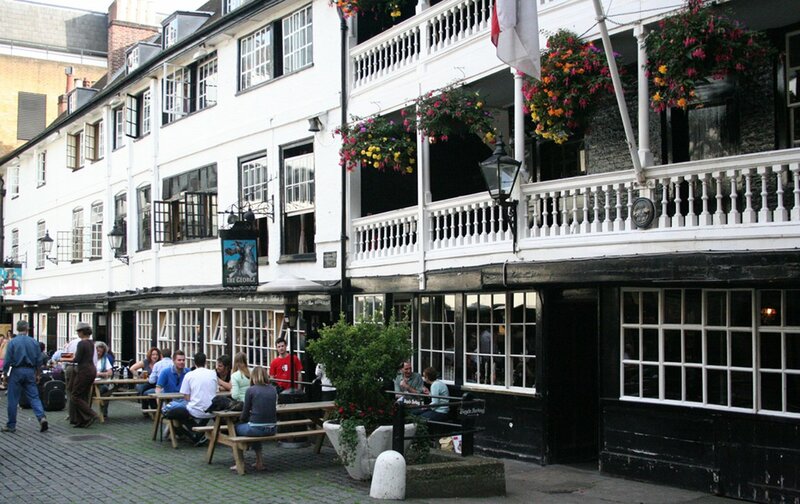 Interested in finding the oldest pub along the River Thames? 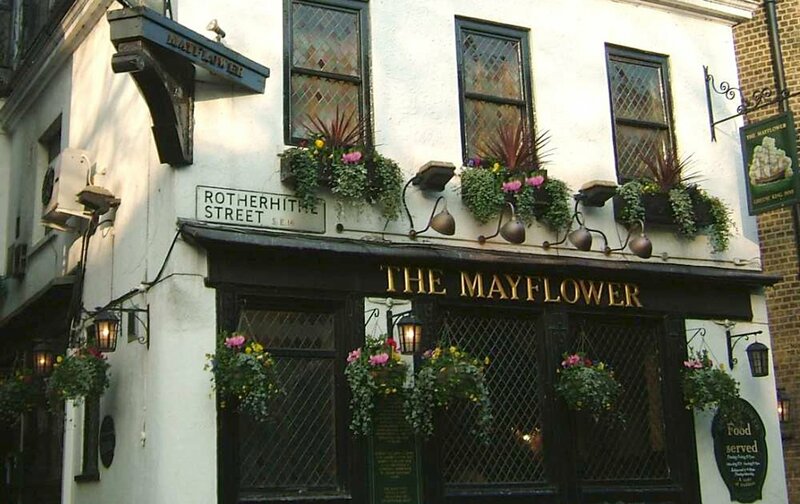 Look no further than The Mayflower. This candlelit cozy pub overlooking the lights of London’s ancient river is perfect for a sweet, romantic night. It has all the nooks and crannies of a traditional pub, with heartwarming English food and seasonal menus, including the classic roast dinner every Sunday. 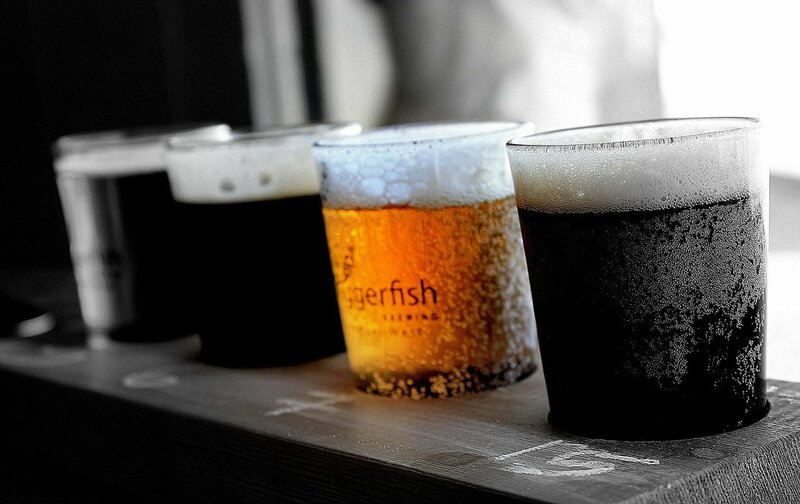 You simply can’t go wrong at The Mayflower. 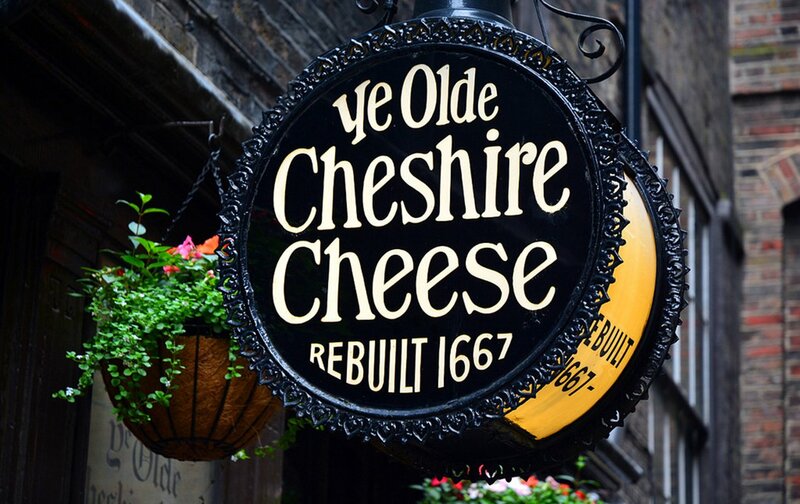 There’s something quite magical about dining at Ye Olde Cheshire Cheese. Plaques commemorating some of their former frequent visitors line the booths, so you know you’re sitting where Charles Dickens, Sir Arthur Conan Doyle, Alfred Tennyson, and Dr. Johnson once enjoyed their food and beverages. You can’t get more historical than a pub that has served through the reigns of 15 English monarchs. The bar has retained its snug atmosphere with its dark wooden interior, crooked staircases, and reasonably priced drinks. This old-fashioned pub is entirely devoted to independent ales and ciders from small, independent UK breweries. Their selection continuously changes, but it’s always mouth-watering. 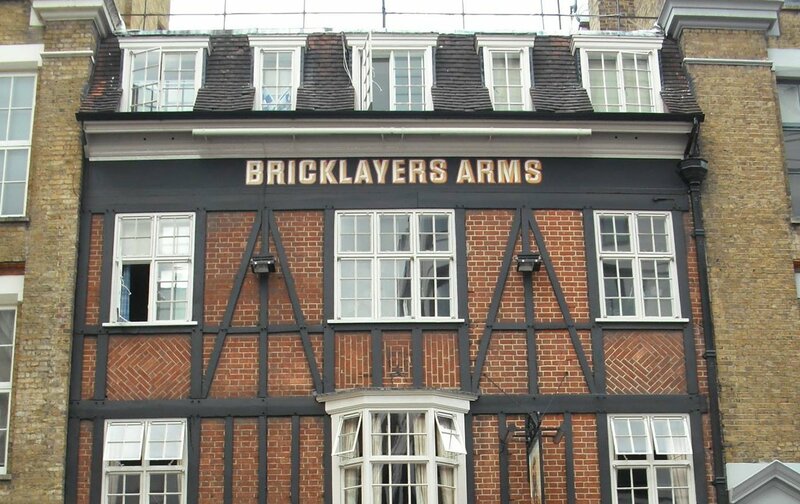 If you’re an aficionado of the classic ale, then this pub should certainly be on your ‘to-do’ list when in London. The National Trust owns this historic gem, as it can be traced back to 1542, though an inn likely stood in its place even earlier. The former coaching house is located close to London Bridge and a short stroll away from the River Thames, so it’s possible Shakespeare dined – and possibly even performed – here. 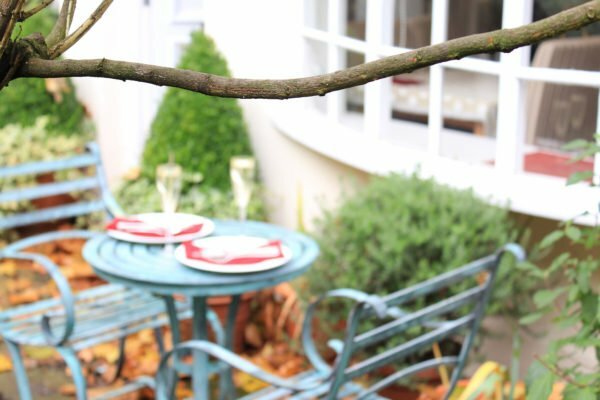 Join locals after work as they spill out onto the patio, drinking crisp ales and enjoying the scenery. This 300-year-old pub is perfect for beer-lovers, as it has its own large beer garden outside the brightly lit, traditional pub. It also has an extensive menu, with a special menu dedicated to a delicious selection of burgers, so it’s the perfect opportunity to indulge in a little comfort food alongside a traditional beer. 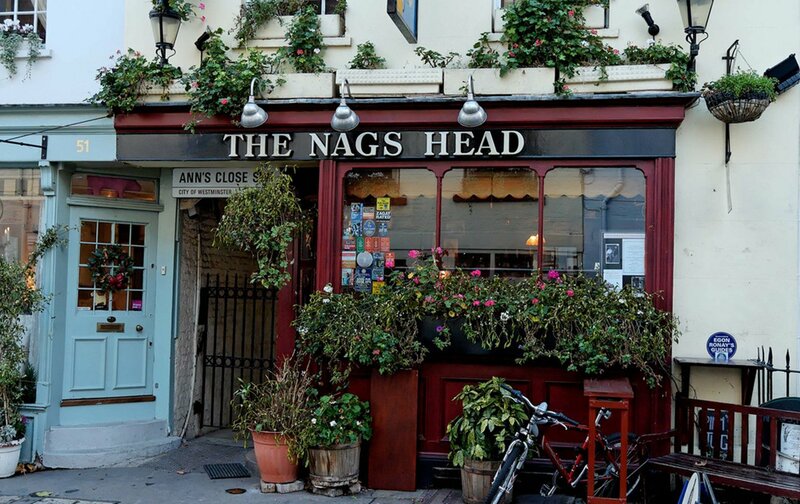 A favorite for locals and tourists alike, The Nags Head is like stepping back in time, capturing Britain from another era. With its hobbit-size stools and memorabilia decorating the walls, it’s wonderfully cozy and atmospheric. It’s the perfect place to enjoy an afternoon pint, switch off the phone (cell phones aren’t allowed) and simply take a moment to enjoy this gem of a pub and its genuinely unique atmosphere. The Pearl and Feather is within walking distance of the Charles Dickens Museum, Exmouth Market, and Sadler’s Wells Theatre. Explore the vibrant, artsy neighborhood of Angel before tucking into a delicious, seasonal meal at this 1820’s pub, and indulge in one of their 50 hand crafted beers. 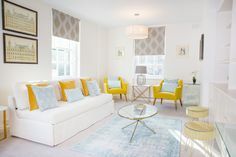 Leave the cozy pub and come home to your cozy apartment in London! Get in touch today. We’ll find you a snug and cozy spot to call your own. Posted on Wednesday, January 4th, 2017 at 6:02 pm in Food & Drink. You can follow any responses to this entry through the RSS 2.0 feed. You can leave a response, or trackback from your own site.